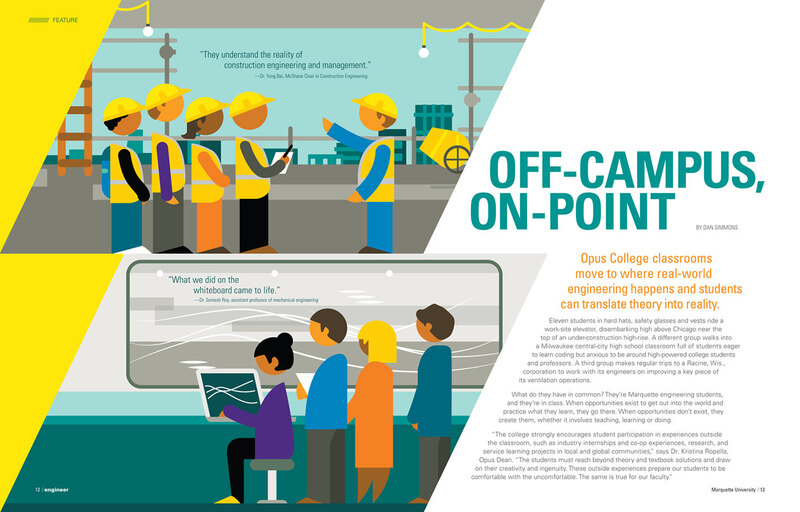 Ben The Illustrator worked with our client, Marquette College of Engineering on their annual magazine, illustrating a feature article looking at the opportunities for taking students into real-world engineering situations to aid their studying. 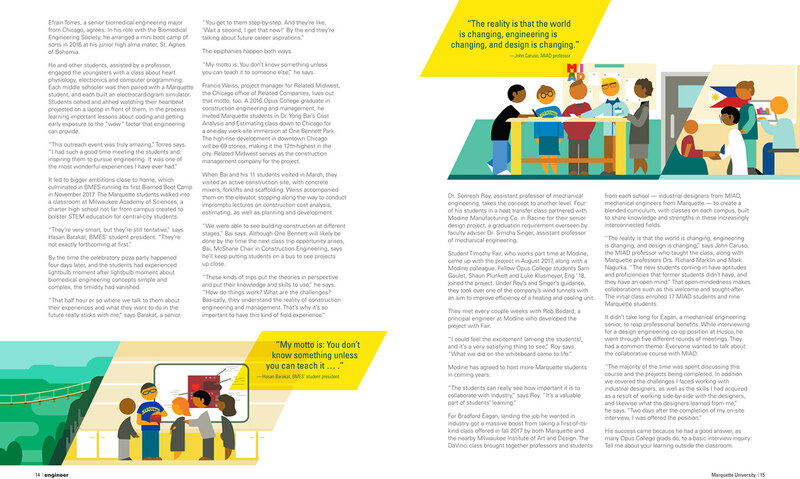 The editorial illustrations are truly a must see. 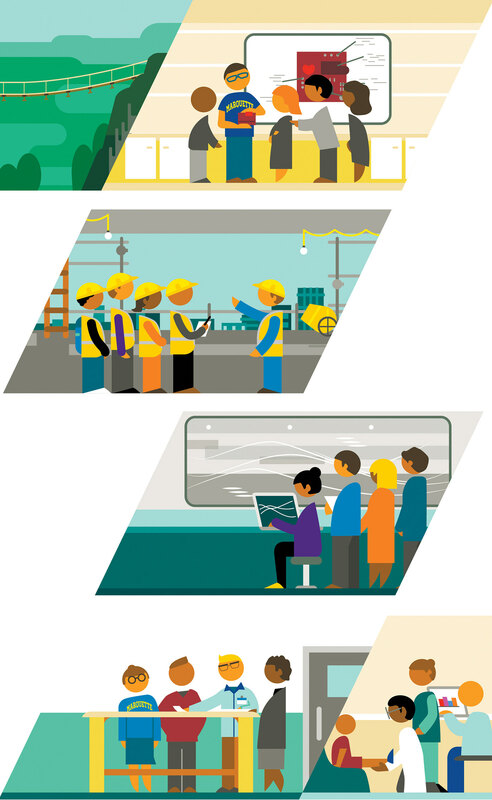 See more of Ben’s illustration work, click here.